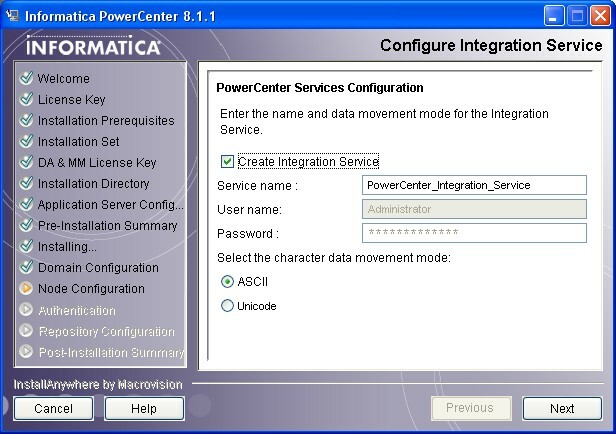 This article talk about the installation of the data integration tool PowerCenter from Informatica. This sequence of installation don't say that you have to hit the next button and does not take care of review and informative windows. Select an option to install : Server. Install Anywhere launch. Next screen, I uncheck “Install Informatica Services with a different account user” because I will use it only on my laptop. 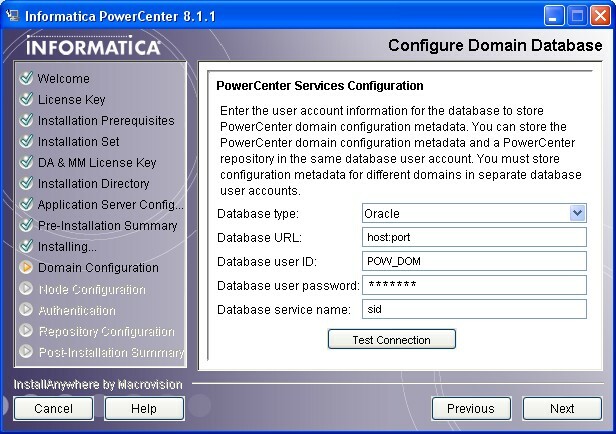 Informatica Services is the Windows service that runs PowerCenter Services on a node in a PowerCenter domain. 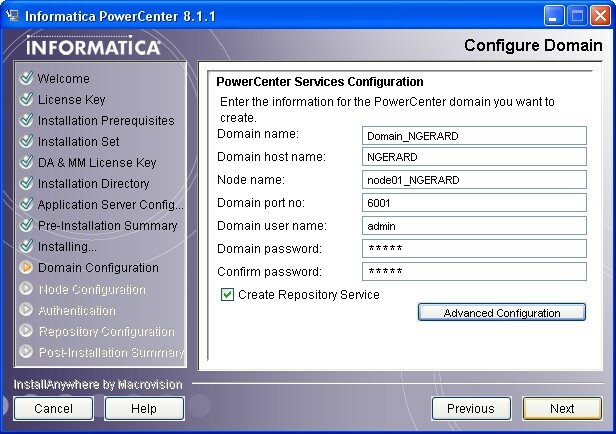 Configure the user account if PowerCenter Services needs to access a network location not available to the current Windows user account. configuration of the installed products and components and status of the services. 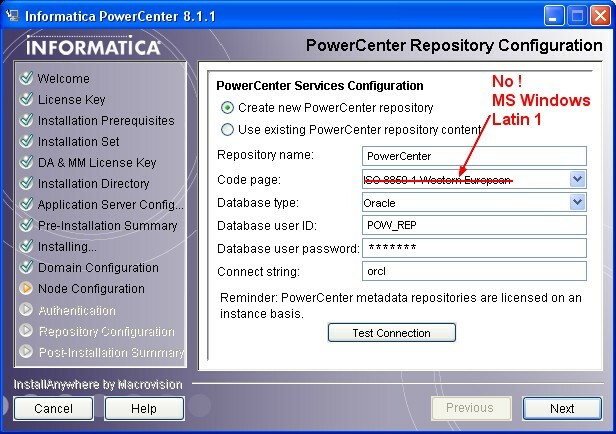 Use the debug log file C:/Informatica/PowerCenter8.1.1/Informatica_Installation_Server_Debug.log for more information. During the installation, you can see that it install a JRE. 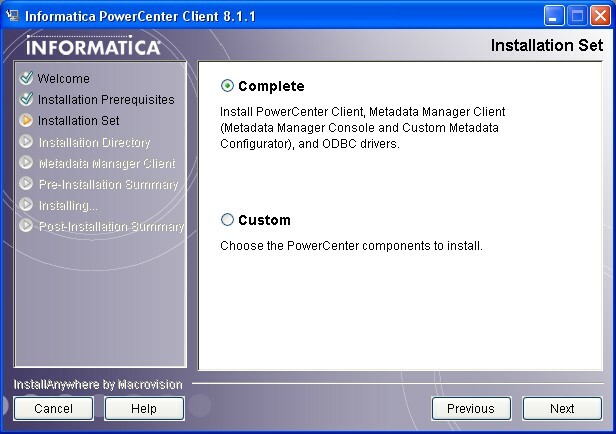 Installation Status : SUCCESS The PowerCenter Client 8.1.1 installation completed successfully. and status of the services. 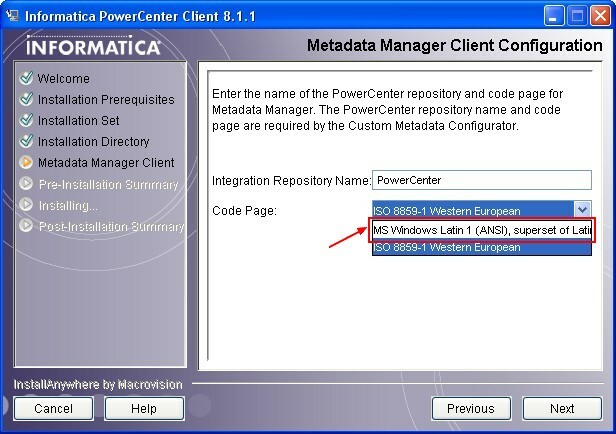 Use the debug log file C:/Informatica/PowerCenter8.1.1/Informatica_Installation_Client_Debug.log for more information. 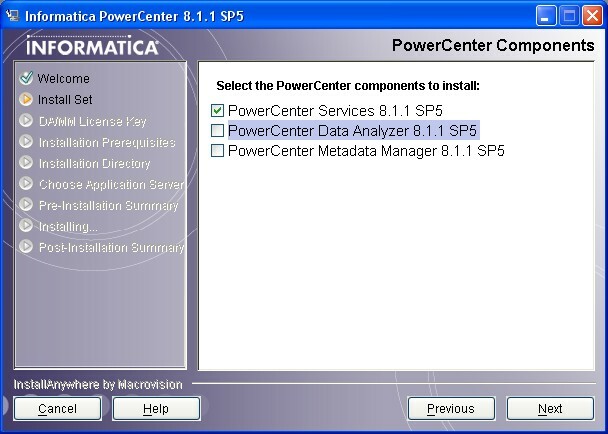 The PowerCenter 8.1.1 SP5 installation completed successfully. The information below summarizes the location of the installed products . You must restart Informatica Services to complete the installation. Don't forget to perform the update process also for the clients. Relaunch the file file2>pc811sp5_win32_x86>install.exe and choose clients as option. The file2 contain two fix : EBF189068 and EBF189069. You can find valuable information in the installation and configuration guide (PC_811_InstallationGuide.pdf) delivered with the file2.